After entereing Ballina, pass Goosers Pub and theÂ Church and at roundabout take first exit to left and then take next right turn at Mollys bar, after traffic lights and before bridge crossing the Shannon River. The hotel is located 500m on left had side of Road. St. Flannans Cathedral, The early monastery on this site at the southern end of Lough Derg was founded by St. Fachnan, and he was followed as Abbot by St. Flannan who died around 639. The Cathedral was founded about 1185 by Donal Mor OBrien. The Cathedral incorporates some of the finest examples of Hiberno-Romanesque architecture. Beautiful setting. Staff friendly and helpful. Lovely room overlooking the lake. Food excellent. Will return. The setting is absolutely stunning, food was great, room was a little dated but clean and functional. The fire alarm went off four times during the night so we didn't get much sleep. I have never stayed in such a friendly hotel. The staff were all wonderful and made our weekend. As for the food it was lovely we got so much we couldn't eat it all, even the breakfast had a brilliant choice there was everything you could want. We will definitely go back. I Just returned from a night there, booked it based on the previous reviews. They all seemed too good to be true but.....they were true! This is the first review I've ever bothered to write but I just couldn't let this go. The staff were brilliant, pleasant, friendly and non FAKE!!!! I booked a single room ( yeh I wanted ME time) and was given a huge family room to roam in, it was great, and great value for money. The breakfast was lovely with everything labelled, and a great range of food. The pool/sauna etc were great and the particular man on reception/ pool attendant was SUPER nice, couldn't do enough for me. He gave me a swimming cap, without the usual hassle, even offered me the euro coin for the locker. While it's a lovely spot in a great location, the staff make the place, I'll be back soon with the family. Highly recommend it. Wonderful Hotel, friendly helpful staff and in brilliant location. The food was terrific. The memory of sitting, looking out at the lake and watching the crows roosting while eating great food is a memory that will last a long time. Hotel staff very friendly. Leisure centre great-swimming pool perfect for swimmers and children. The food in restaurant and bar was superb and the portion sizes very large. The only down side to the hotel is there is no lift so a little inconvenient with a buggy. I don't normally write reviews but I had to make the exception to compliment this hotel on it's exceptional facilities, service and value for money we had the pleasure of experiencing last weekend when we stayed at the Lakeside Hotel. 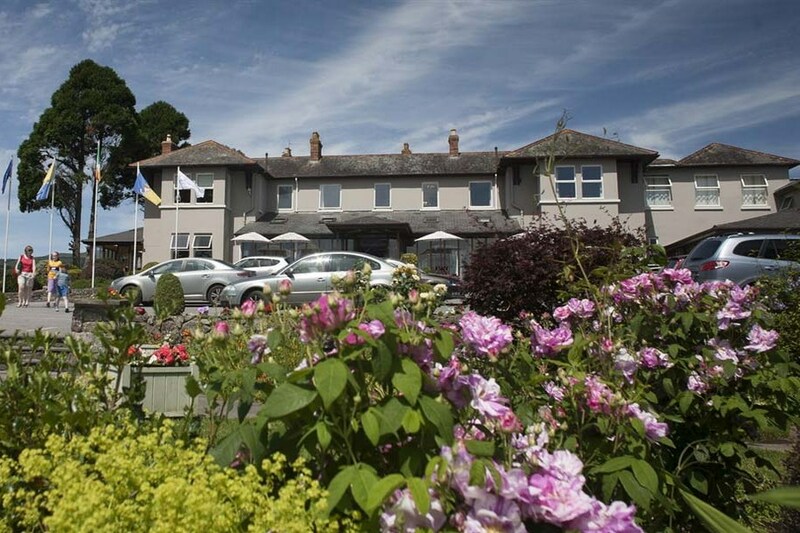 This hotel has it all, from luxurious bedrooms to manicured gardens, top class pool facilities including an exhilarating splash slide, crèche drop in facilities for kids, great food, delicious breakfast, relaxed atmosphere and most notably extremely kid friendly. I can't rate this hotel high enough for a short break away with young children. I can't wait to go back and I am recommending a stay here to all of my friends and family. The fine weather certainly allowed us to appreciate the meticulously kept gardens along the water front. Beautiful scenic location with great facilities within walking distance. Stayed here 2 weeks ago for our wedding anniversary, got a great welcome and special attention for the occasion. Room was perfect and food was gorgeous.We were very impressed with the breakfast layout and selection. Special thanks to Eoin and Sinead for there attention, we will be back with two small people who are looking forward to the Leisure Centre. 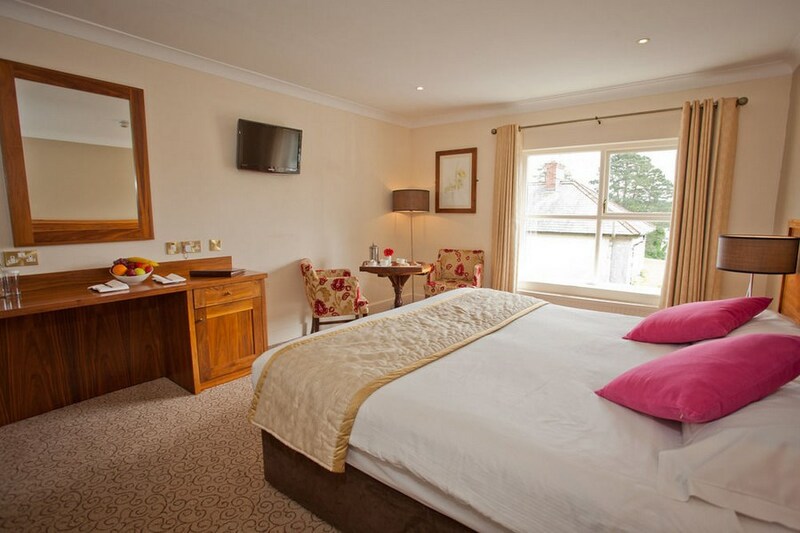 Martina & James from Galway, we stayed at the Lakeside Hotel in early march, the service was helpful & friendly, food excellent, and the room spacious and warm, we had a lovely weekend and we would highly recommend this hotel. Spent last Saturday night in The Lakeside Hotel with extended family as it was my father's 93rd birthday. There were more than 30 people including 9 small children. The first person we met was Sinead at reception who is wonderful, kind and friendly. All the rooms were very clean and comfortable and warm. Personally I love the little reading light attached to the bedside lamp - not to be found in most hotels, but so handy if one person wants to read while the other is asleep! The dinner was really good and catered for all our needs including 4 coeliacs. It was all served very efficiently. At the end of the meal they produced a really beautiful birthday cake with candles for the birthday "Dad, Grandad and Greatgrandad"! Thanks to all who made the celebration a very happy event. We will definitely be returning - hopefully before the next birthday. Stayed here with my husband & 2 kids, we really enjoyed ourselves hotel was lovely & cosy. Rooms were clean and comfortable & spacious . Food in the restaurant was excellent, staff very nice & helpful especially Leisure centre staff. Only problem was pool was extremely cold, we could only stay in for 10 mins with our youngest (1 Year old!) Aside from that I would definitely recommend it as a family friendly hotel! I had an enjoyable and relaxing stay at the Lakeside. Breakfast was plentiful if a little lack lustre. Staff extremely friendly and helpful. Leisure facilities good, if a little over run with children and locker rooms wet and a bit dirty. Location is wonderful and I plan to make a return visit, this time with my children as it seems very family friendly. Refurbished rooms were very warm and comfortable. Overall a pleasant place to stay. Just stayed 1 night in the lakeside. Its a lovely hotel in a lovely area. Very nice leisure centre. Food was lovely. We ate in the bar which a had much more extensive menu than restaurant. Just 2 complaints; our room was cold and had to ask about turning on heat, which is unusual because most hotel rooms are too hot ! Secondly (a very small one but) had to ring down to get some one up to turn on the tv, turns out there was a switch, much like an immersion switch on the opposite side of the room that had to be turned on for tv to work, not exactly rocket science but whats wrong with the simple button on the wall socket !!! Would definatly go back. just back from a fantastic week at the lakeside hotel.food @ drink was top notch.staff were extremely nice @ helpfull regarding places to go for nights out .and if your into fishing well your just spoilt for choice..plenty of very friendly pubs in the town and lovely places to eat .one of the nicest parts of the country we have been to .and we will definitely be back. Had a lovely 3 day break in Lakeside, thank you, staff were very helpful and friendly. The Hotel was very clean and food good. Great views from hotel. We stayed there for two nights b&b + one evening meal. The staff were great, very friendly and made you feel very welcome. Our breakfasts and eveing meal couldn't be faulted. Excellent quality food all around. Well kept gardens and peaceful walks nearby. A lovely three days. Would certainly recommend and hope to visit again soon. Very friendly and helpful staff the minute we entered the hotel which is an absolute must in my book. We were early so room was a half hour wait and were asked if we wanted to use the leisure pool we could. The room was very spacious but if I was going again wouldn't get ground floor as a little noisy. Breakfast was delicious as was the dinners and again staff always friendly. Pool and changing room was perfect and my two year old really enjoyed it. All in all I could not say enough about the Lakeside. I would recommend it and I myself would go back. 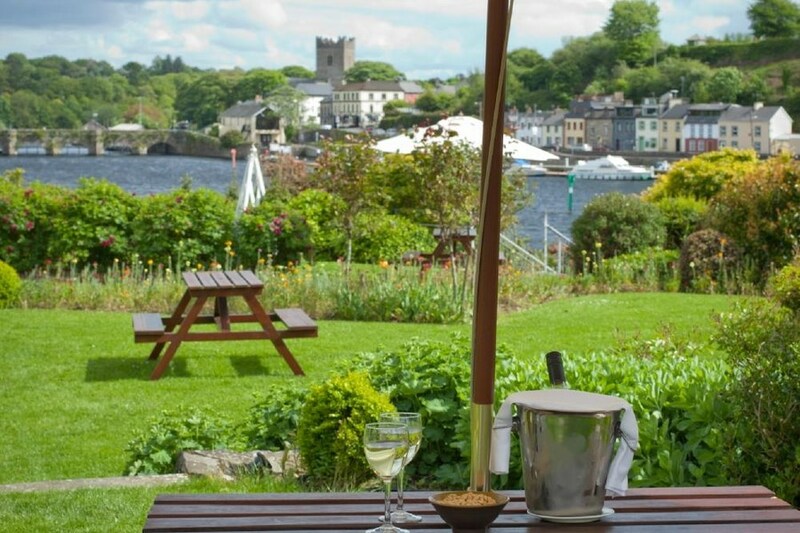 Very friendly staff, lovely room with views across river to Killaloe. Hotel in lovely setting and its leisure centre is very well equipped, and the pool caters for all ages and abilities, our 7 year old daughter had a ball !! Myself and a friend stayed at the Lakeside hotel on the Easter bank holiday, and had a lovely time, helpful staff great views over the lake and the meal in the evening was very good. It is a hotel we would go back to and recommend to others. A lovely homely and welcoming hotel. The staff are very accommodating and pleasant. Hotel is clean and spacious. Breakfast is sumptuous but not wasteful. Restaurant and O'Hara's Menu is varied and of very high calibre with realistic prices. The use of the leisure centre is an added bonus and staff are friendly and helpful. Changing facilities are cramped and not very family friendly. The pool could be better maintained and my hunch is that the water quality is not the best. The children love the slide as it offers hours of fun. All in all - this is a great hotel with a lovely location and we plan to go back and take friends with us. Highly recommended. Very good deal. The Hotel is very nice, but the view is very beautiful and unique! The food is excellent - the best Irish breakfast we had in Ireland. The staff ...very professional and nice.